Review Following on from the Squeezebox Duet, Boom and Radio models, the Touch is Logitech's latest wizard wheeze to help liberate your digital music files. Like the Duet, the Touch acts as a bridge between your PC and your hi-fi by hooking the two up using a Wi-Fi network. 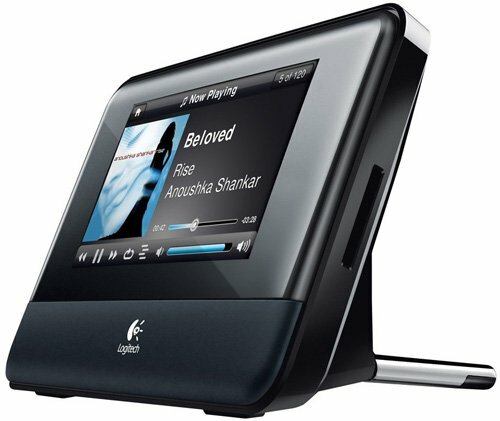 However, you can't use it as a stand alone music player, as you can with the Boom and the Radio. The Touch resembles a small fat digital picture frame but one canted back at around 40 degrees to allow for convenient access to the capacitive 4.3in colour screen that houses the system UI. Like all the other Squeezebox kit I have tested, the Touch is well made, smart and practical. 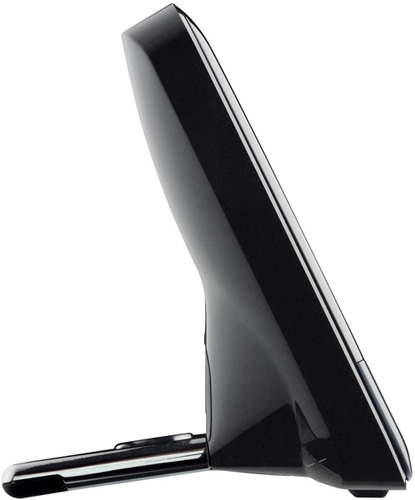 The rear stand is large and solid enough to let you poke the screen without fear of it toppling over, while the underside is rubberized to prevent it sliding about in use. As well as being able to stream audio over a Wi-Fi network, the Touch includes an SD card reader built into the side along with a USB port at the back. Load either with JPEG images rather than music files - or both - and the Touch doubles up as a digital picture frame when the screen isn't doing UI duties. Other sockets include phono audio, 100Mb/s Ethernet, optical and digital audio outputs and a 3.5mm headphone jack. As is usual with Logitech, using a Squeezebox device means first installing the Squeezecentre server software. Still, that's not much of a drawback because, as server software goes, its rather good and it works on PC, Mac and Linux machines, and most NAS boxes too. Once you have set up Squeezecentre, connected the Touch to your stereo and entered any wireless system security codes, you are good to go - it's as simple as that. LOGITECH - TECH = 'LOGI' ... that's non-Logitech tech, is it?